Delicious buckwheat can be prepared by adding such spices as turmeric, fennel, cardamom, ginger and various mixed spices. This will allow traditional buckwheat to make a gourmet meal. Turmeric is widely used in cooking, for making hot hearty dishes as well as confectionery. This seasoning has a bright kind of spicy taste, it should be used in a small amount that it killed the flavor of the main dish. Turmeric gives foods a beautiful Golden-orange color, so in cooking it is used as a natural dye. 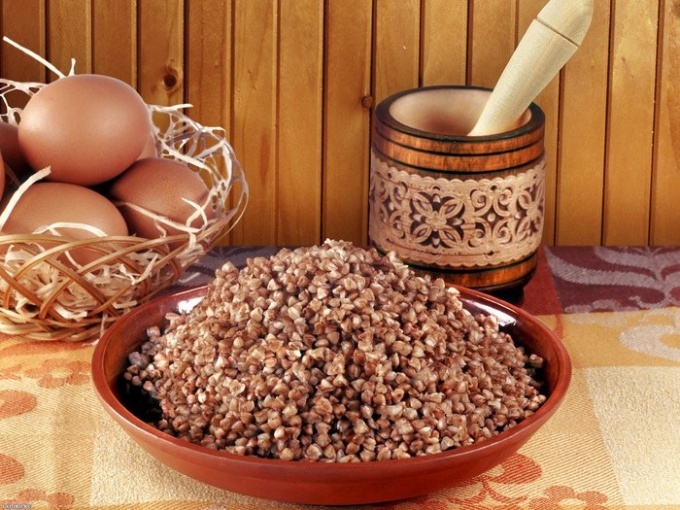 And buckwheat with turmeric acquires a yellow-orange color and is filled with useful properties of this spice. Ginger as well as turmeric is added to various dishes – both savoury and sweet. Ginger has a pungent taste and has a warming effect. So hot buckwheat with the addition of this spice warms in cold weather, fueling and intensifying the digestive fire. For the preparation of buckwheat this seasoning must be in powder – ground dried ginger. Thyme, cumin, wild anise – all is the name of one and the same seasoning, with a spicy slightly astringent taste and is vaguely reminiscent of the dill. A few cumin seeds, lightly fried in vegetable oil to this spice opened its properties, give buckwheat a special delicate taste. Cumin has healing properties, it soothes and improves work of a gastroenteric tract, promotes the development gastric juice, which helps digestion. When cooking buckwheat chili pepper should be used with great caution, as it has a very rich pungent taste. A few granules on the tip of a knife will be enough for a single serving of this cereal, so she got a light subtle spicy taste. People of tropical countries use this seasoning in all dishes in large quantities. Very common, a mixture of different Indian spices. Spices from India, usually very fragrant, healthy and tasty. To preserve its medicinal properties during transport, it is sealed in a special paper like foil. Garam masala, Sambar masala are among the best of Indian spices. They can be added not only in buckwheat, but also in other cereals and in baked goods, steamed vegetables. The composition of the seasoning includes many different ingredients: black pepper, cumin, turmeric, fennel, cumin, ginger and others. This mix of spices will give the buckwheat tea separate dishes.